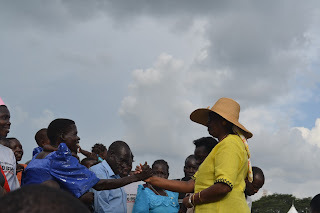 The EMTCT Campaign was launched in the Teso sub region on Friday 31st July 2015 under the sub theme: Keeping families in Care. 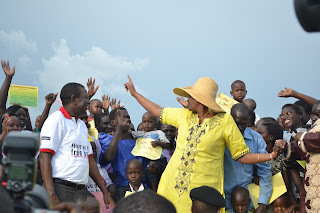 The Guest of Honor was the Champion herself , the First Lady, Mrs. Janet K. Museveni. During her speech, she thanked the campaign organizing team which had been with her throughout the campaign in the other sub regions, for making this yet another successful function. 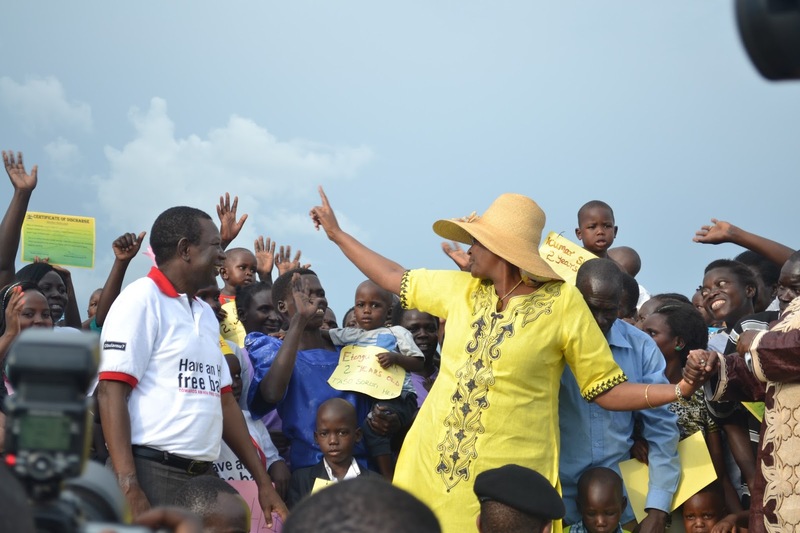 Mrs. Museveni said that this campaign is aimed at making people angry enough to commit themselves to being part of having an HIV free generation through total elimination of Mother to Child transmission of HIV. She reminded the fathers that they have a duty to their wives, children and entire families to be responsible and keep them safe. In addition to this, she said that it was beautiful to listen to then children who are born HIV negative say in their own words that their mothers were their heroes for protecting them. She ended her speech by encouraging both development and implementing partners to keep fighting until the campaign has yielded recommendable results. Also present at the function were the Emorimor and his wife, Minister of State for Primary Health - Hon Sarah Opendi, Minister of State for Teso Affairs - Hon Christine Amongin Aporu, Deputy Director of CDC, Country Director UNFPA, Country Representative UNAIDS, Representative of the UN Resident Coordinator, Hon. Chairperson of LC V Chairpersons in Teso Sub region, RDC Soroti, Chairman Uganda AIDS Commission, Director General Uganda AIDS Commission and the Director General for Health Services. The Director General for Health services said that the campaign still has two regions left before it ends. These would be held in Masaka and Kiruhura districts. She also said that the Ministry of Health was preparing to carry out another HIV impact assessment to measure the progress made with the existing HIV prevention interventions. 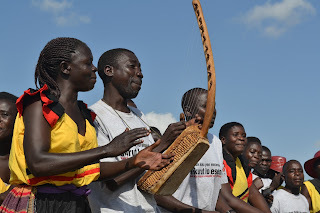 The Emorimor (cultural leader) thanked the development and implementing partners for taking services to the people in Teso. He advised his people to get tested so that they could make informed decision about their health. Dr. Flora Banage from the CDC said that if the developed countries have been able to almost wipe out Mother to Child HIV transmission, then the developing countries have hope of doing the same. According to Dr. Bungudu from UNAIDS, Uganda still has 67% of its children born with HIV and not yet on treatment. He requested that the populace be explained to clearly and in their languages what interventions such as Safe Male Circumcision mean. 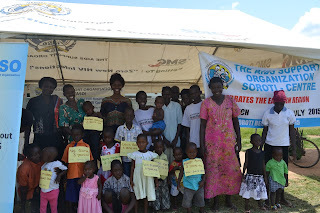 TASO had an exhibition stall, a group of mothers and their children who were born HIV negative as well as the TASO Soroti Drama Group which received a rousing applause for having the most relevant item of entertainment for the community.